What's the sitch? There's a live-action Kim Possible movie in the works, and we couldn't be more excited to see who'll be cast as the kickass teenage crime fighter. 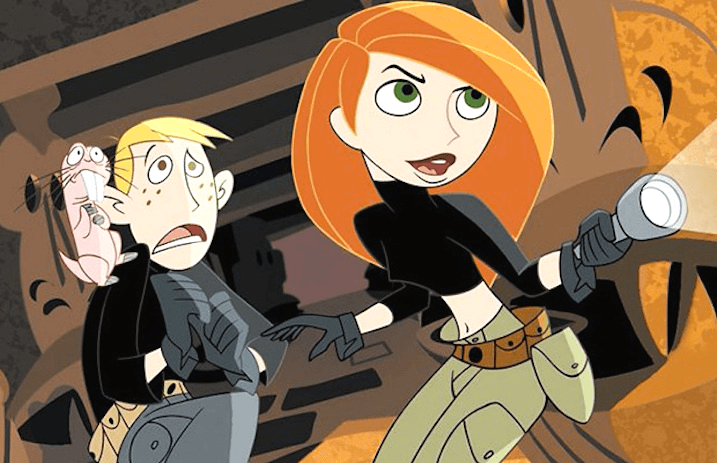 Although Kim Possible ‘can do anything,’ kids and tweens found that this animated redhead was just like them. As we embark on the fun challenge of making Kim and Ron fully dimensional, I’m thrilled to be working again with [series creators] Mark [McCorckle] and Bob [Schooley] and to welcome the addition of a dynamic creative team – Josh [Cagan], Zanne [Devine], Adam [B. Stein], and Zach [Lipovsky] – into a world where anything is indeed possible. We're excited to see what Kim, Ron Stoppable, Wade and Rufus get up to in the new flick—and yeah, even Shego and Dr. Drakken, too. Kim Possible aired on Disney Channel from 2002 to 2007. Give a listen to the original theme song below and prepare to feel all the nostalgia.